In all sectors of the economy, technology and tools are being designed to enhance convenience, productivity, mobility, and ease of use. Language access in health care is no exception. With the introduction of InSight for iPhone℠, a language interpreter app from LanguageLine Solutions, healthcare organizations can make even better use of professional interpreting services. LanguageLine is already the leader in phone and video remote interpretation, with the capacity to connect clients to nearly 9,000 highly trained interpreters in more than 240 languages within seconds. InSight for iPhone puts that power in the pockets of healthcare workers. The healthcare industry is already at the forefront of using remote interpretation services to comply with language access requirements and improve quality of care and the patient experience. An interpreter app is an excellent complement to an organization’s existing interpretation solutions. Even in hospital settings where healthcare staff are well-versed in using landline-based interpretation services or video remote interpreting equipment mounted on carts, a language interpreter app provides greater range and aids in tasks where staff need to be able to move easily within a facility, such taking LEP patients for tests or making patient rounds. The mobility and convenience of a language interpreter app for the iPhone may prove most revolutionary for healthcare employees who don’t work in an office or hospital, as well. With a language interpreter app on a pocket-sized device, employees can take it anywhere. Health educators and community health workers can communicate with limited English proficient individuals no matter where their job takes them. Imagine a visiting nurse, home health aide, or certified nurse assistant with a full schedule of patients to visit in a day. No matter how many different languages those patients speak, the provider will be ready to communicate effectively with each one. 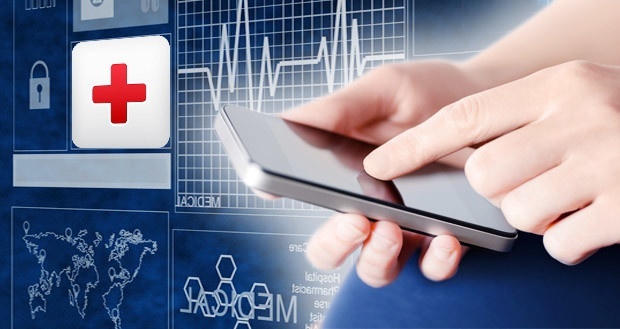 A mobile language interpreter app can ease provider-patient communication in all healthcare sectors and at every stage of care, starting with the insurance enrollment process. Insurance agents, senior center staff, and enrollment center employees can use such an app to achieve efficient communication, enroll patients faster, and resolve benefit inquiries. This cuts down on staff time and costs while allowing employees to focus on other priorities. Healthcare organizations are placing a greater value on experience as patient satisfaction scores increasingly factor into reimbursement rates. A language interpreter app increases ease of communication, which helps to enhance trust, satisfaction, and loyalty. Take the first step in building stronger connections. Download the InSight SM for iPhone app today. Dillon Roach is an account executive at LanguageLine Solutions.